John has been actively involved in the Seattle design community for over two and a half decades. Prior to his role as Principal and Co-Owner of Rhombus, John served as President of the Seattle chapter of the Society of Professional Graphic Artists (SPGA) and the President / Owner of Chamberlin Design Associates, a Seattle-based visual communications firm. He has developed special expertise in the areas of brand development and corporate identity and his work has been featured in publications such as Print, Communication Arts and LogoLounge. John is a Washington native and he holds a Bachelor of Fine Arts degree in Graphic Design from Western Washington University. 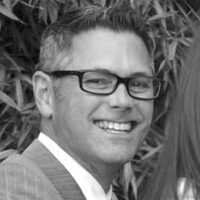 Brent is a Washington native and has been working in the Seattle design community for over 20 years. His skills extend to virtually all areas of corporate visual communication, from print collateral materials to web design, packaging and corporate identity. 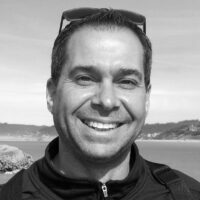 He has previously served as Senior Designer at Z Group Design in Seattle and LaSalle Design/Graphics in Chicago, IL. His work has been recognized with awards from the American Institute of Graphic Artists (AIGA), Print Magazine, Communication Arts Magazine, the Society of Professional Craftsmen and LogoLounge. He holds a Bachelor of Fine Arts degree in Graphic Design from the University of Washington.